App selection is one of the biggest factors in choosing a streaming media player for your TV. Here's how the major players compare. Editor's note: This story has been updated in its entirety. You'll find the most current version here.This article preserves the story as it was originally published. App selection should be one of the biggest factors in choosing a streaming media player, because all the fancy features in the world don’t mean much if you can’t actually watch what you want. 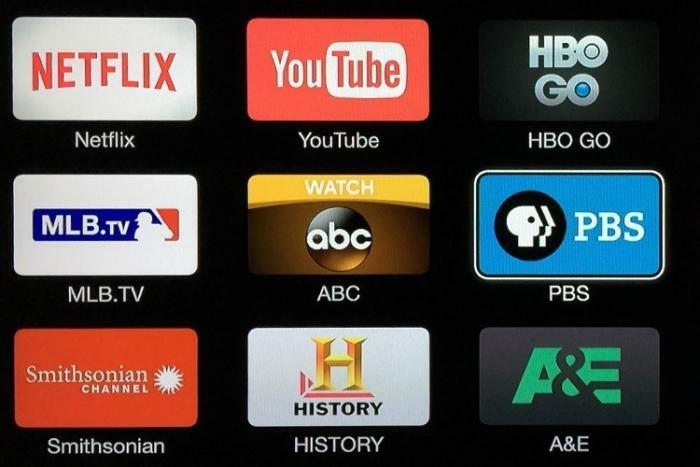 The good news is that there’s decent app parity among the major streaming media devices, including Apple TV ($69 to $199), Amazon’s Fire TV ($99, or $39 for the Fire TV Stick), Roku ($50 to $130, depending on the model), Chromecast ($35), and Android TV devices such as the Nexus Player ($100) and Nvidia Shield Android TV ($200). If you’re just looking to watch Netflix or Hulu Plus, pretty much every device on the market will have you covered. Aren’t there way more apps than this? I focused mainly on apps that offer full TV episodes and movies, either for free or with a standalone subscription, but it’s not a complete list. Roku, for instance, has lots of niche apps for oldies, cult classics, and international programming, which I didn’t get into. And because this is my cord-cutting column, I left off most apps that require a cable login (with a couple of popular exceptions). You can find a longer list of those apps here. Roku has the most extensive app selection. Why buy anything else? The chart illustrates how certain companies’ services are in some cases locked to their respective platforms, particularly iTunes and Apple Music on Apple TV, and Google Play Music on Android TV and Chromecast. But the chart doesn’t get into other differentiating factors, such as Apple TV’s powerful voice controls, the ability to control your connected home on a Fire TV, or the superior second-screen controls of Android TV. Doesn’t AirPlay on an iPhone or iPad let you watch pretty much any video on Apple TV? Yes, but AirPlay doesn’t really replace your remote control, and it won’t let you watch other videos on the small screen or play games with sound while TV playback is in progress. It feels more like a fallback than a complete solution. So why’d you even include Chromecast, which is similar to AirPlay? While Chromecast also requires a phone, tablet, or laptop to operate, it has several features that make it more remote-like. If it’s plugged into an outlet, Casting a video will automatically turn on your TV and switch to the appropriate input. Many apps let you adjust playback volume through your phone or tablet as well, and you can use some standard TV remotes to hit pause. And if your device disconnects or runs out of battery, the video keeps on rolling. 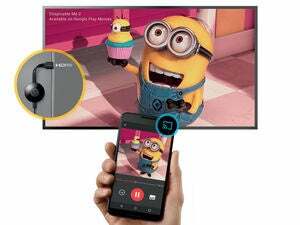 It also helps that Chromecast is half the price of the cheapest Apple TV, at $35. Check out our Chromecast FAQ for more details. Check out our reviews of Apple TV, Fire TV (and Stick), Roku 3 (and Streaming Stick), Chromecast, Nexus Player, and Nvidia Shield Android TV for more on each device’s software and hardware. You said [Device X] doesn’t have [App Y], but now it does! What the heck? I will try to keep this chart up to date, but I’m only human and could still miss things or get fired as time goes on. If you see something that’s not right, drop a comment or holler at me on Twitter.